I have been lurking here for the past week, and decided to make an account to hopefully get a few questions answered. Most of the relevant information I've found is coming from 2012, so I am hoping there have been new developments/discoveries. I am the significant other (read mechanic/detailer) of a 2006 fortwo cdi owner in the US. The car was purchased on ebay from a dealer in Ohio who imported it from Canada and changed it to meet DOT standards. We were originally living in Colorado (euro diesel mecca of the western US, outside of the Pacific Northwest) but recently moved to Mississippi (taint of the US) for graduate school (masters for me and DVM for her). There is NO European car scene here, especially not for diesels. We had a terrible time finding a shop qualified to work on the thing. I am a long time VW/Audi enthusiast (try not to hold it against me) and will be swapping a 1.9 TDI into my Toyota 4Runner by this time next year (if everything goes reasonably according to plan) but am completely new to Mercedes/Smart. Her car is a piece of "work". It is currently on ramps in the driveway because it won't start. It will crank just fine and will occasionally let out a little put, but won't start. I am reasonably certain that it is the crank position sensor, but because of all of the Canadian EGR nonsense I am having a devil of a time getting to the darn thing. The low beams of the headlight do not work because of the drastically undersized wiring coming from the SAM burning up (which after seeing the hack job done on the stereo, I had erroneously blamed on the former owner). I will be taking care of that soon, I want to wait until the rest of the work is done. It needs new reluctor rings (I sourced an aftermarket set from the UK), and I am trying to talk her into a Malone tune, but the closest tuner is 2 states away. The good news is that is has just under 100,000 miles, an AEM dryflow panel filter, powerstop rotors and pads, an aftermarket stereo headunit with bluetooth calling ( had to source a reverse harness and trim surround from LATVIA), and brand new headlights (imported from Spain...wtf, its a Canadian car) and (modified) projector lens fog lights waiting to be installed. The greatest improvement I have seen was when I replaced the battery to ground wire with a 2 ga cable along with appropriate sanding and dielectric grease. If you haven't done it, I highly recommend it. That is about all she has let me do so far. We bought the car because she has always liked them, and once we found that there was a diesel option and that it could run biodiesel it became a "must" purchase. I am a chemist (among other things) and dabble in biodiesel at home. I have yet to run anything but a test generator with it (I don't have a centrifuge to truly get rid of the particulate matter that could clog the injectors) but once I find the right deal, her fuel tank will be filled at home (don't tell the Uncle Sam). Alternator is prone to getting seized causing enough drag for engine not to start. Free alternator by turning it on its pulley nut. Takes a wee bit of elbow grease but is doable. Note that alternator drive belt also runs water pump. Never run engine for more than a few minutes with belt removed or engine will overheat causing expensive damage. The wiring to the headlights is the least of the problems: this circuit and that of the fuel lift pump have bad contact at the N11-3 plug and inside the SAM. If both headlights are dead, the circuits inside the SAM are probably burnt out. All three need external relays added. Check the plug for signs of burnt pins. There could be some life in one of the SAM headlight circuits and if there is, use the one good headlight circuit to wire in external relays for both (both can be run off one circuit). The fuel lift pump could also be the cause of the no-start. All Smart 450 diesels leak oil a wee bit in the area shown in your photo. Consider that as being normal. I wouldn't bother messing around with bio diesel. Check out this thread. I'm 2 years in and no issues. I've burnt pure veggie oil as well with no issues. And I second Mike's advice on the fuel pump relay. Mine did the same thing. You need to do the relay asap before the SAM suffers irreversible damage. Your experience with your mechanic is exactly why you should be here asking these questions I've never let one touch my car, and wouldn't even let them change the oil. I just opened one of the injector lines and a very small amount of fuel came out while trying to start it. If it is anything like my VW TDI there is definitely not enough fuel pressure, which would add to the SAM hypothesis. Is there a specific type of relay I should buy? I already purchased 1 Hella 4RA.007.793-031 because I intended to fix the SAM eventually. We are headed to the autoparts store shortly to return the crank position sensor that we bought. I had already purchased another one on ebay which showed up today but it wasn't supposed to arrive until the 5th and in the meantime we have been a single vehicle house for the past 10 days and it is slowly killing me. I'm going to hold on to the ebay (Bosch) one until the SAM issue is fixed whatever the outcome. We have found a reliable mechanic. They are MB enthusiasts and do almost all of the work for out of warranty MB cars in the area. Unfortunately they are 60+ miles away in Tupelo and the car would need to be towed at this point. Can you hear the transfer pump run when you turn the key on. It should run for a few seconds, I had an issue with mine not running and I gave the sam wiring a little wiggle and then my car would start. My connection wasn't real bad so I installed a relay and used the sam output as a trigger. Works all the time now. The crank position sensor is very hard to get at, I'd say impossible with your EGR in place. Its a lot of work to get to it. I changed mine and it solved nothing. And $250 out the window. The issue I have seen the most with alternative fuels is corrosion of aluminum components by the "alcohol" portion of the biodiesel, corrosion of natural rubber gaskets and rings in addition to any gelling or viscosity issues. It seems that your hydraulic fluid would not have any of these problems. The solution (at least in VW applications) is to replace the rubber gaskets and seals in the high pressure injector pump with viton rubber components instead. Also I just went and bought the parts for the fuel pump relay setup along with the headlights. If the rain stops by tomorrow, I think she will have new headlight housings, the euro turn signal mod, fog lights, and a running car. If I can get her on board with the Malone tune, I will probably be removing the EGR entirely, bypassing the coolant lines and running aluminum piping where the egr used to be. Mississippi is emission free, so I don't need to worry about inspection. That should make working in the engine bay a bit easier. It doesn't get cold enough here to worry about needing the EGR too much anyway. Does anyone happen to know if the intercooler is tube and fin or bar and plate? I have a fabricator friend who may be up to the task of making an improvement if necessary. EGR is there to save the birds and the bees. Got nothing to do with cold weather. 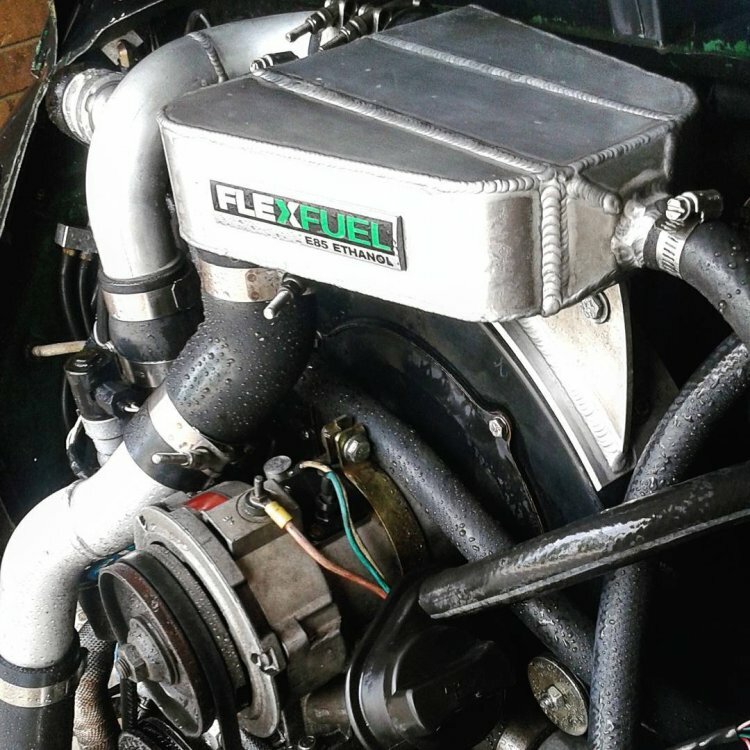 Biodiesel is trouble unless you run an old car with traditional solid mechanical injection pump. Where did you get your erroneous information about biodiesel? I've run B5-B50 with no problems whatsoever. lebikerboy, who were you referring to with the "erroneous information"? And tolsen, from everything I've seen on here so far you're kind of the "go-to" guy so I am sure you know that PART of the EGR's function is to divert exhaust gas into the air intake stream to bring the engine up to temp faster. Yes, this also has the benefit of reaching ideal combustion temperature faster which means the fuel will be more completely burnt and less harmful stuff will escape from the tailpipe to affect the birds and bees. Then the other portion of it's function is to give some of the particulates in the exhaust gas a second chance to be burnt up during combustion and keep less harmful stuff from escaping the tailpipe. The crud buildup is evidence that stuff would be escaping, but I am still willing to wager that minus a visual inspection (which it may still pass if I make it look OEM enough) the car would still pass emissions (if Mississippi had any) without the EGR in place as long as warning was coded out and the tune was done right. (Hence Malone tuning and not an eBay mod box). People around here drive like maniacs, especially at the sight of a Smart car (prejudiced jerks) so I just want to give her a little more 0-65 acceleration potential and enough power to be able to climb the minor hills at highway speed. As it is, the car has a tough time maintaining 65-70 mph up a mild incline, especially while on cruise control. BTW I am building the add on relay harness as we speak, I just came inside for a snack. I had some minor non car related set backs this morning, so I got a pretty late start. Someone had the nerve to break into my house on New Years Eve. The dog scared them off before anything was stolen, but I am understandably upset. The landlord will be buying a new window screen and some window locks this week. Also, does anyone happen to know what sort of intercooler we have, or have a picture of what it looks like through one of the inlet/outlet ports? 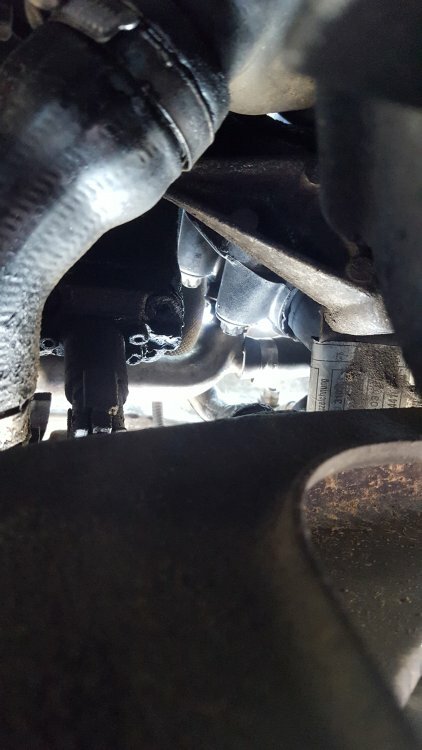 Has anyone fully deleted the coolant lines that go to the EGR, or did they just make a loop with it? The fewer potential coolant leaks the better in my opinion. Purpose of EGR is to reduce NOX emissions. The problem is EGR also increases particulate matter which finds its way to the engine oil causing wear. Intercooler is standard. 12 or 13 rectangular extrusion pipes each having about ten divisions. Intercooler is usually holed due to bad design of its supports cradle that cuts into it. Easy to fix support cradle. Also easy to repair holes. 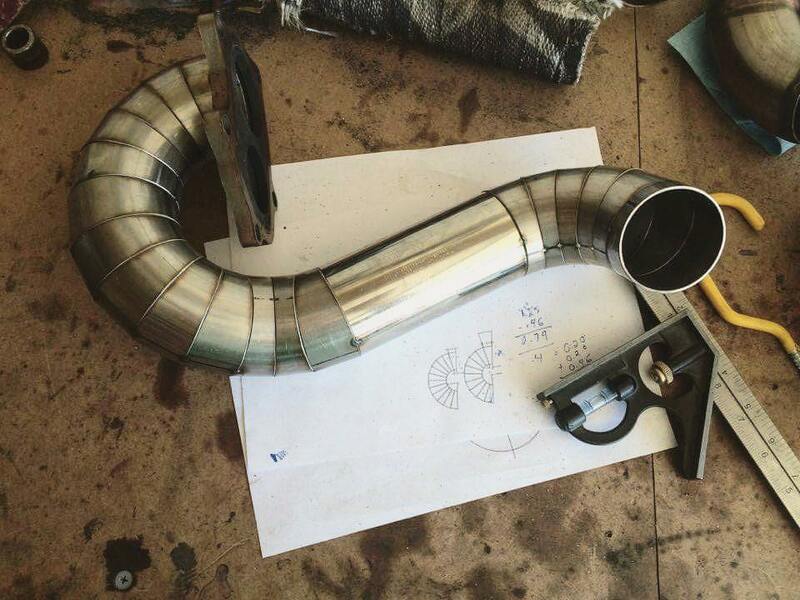 Any bespoke intercooler will most likely have larger volume causing turbolag and empty your pocket book. The one you have is good enough for the job. Just make sure it does not leak. Suggest you blank off EGR supply on exhaust manifold. Replace thermostat if engine takes more than four miles to get up to operating temperature when proceeding at 50 mph along flat road. Only fit original Smart or Wahler thermostats. Lots of bad ones offered for sale. The worst is the Gates. Fit free wheeling pulley on alternator. Dramatically improves speed of upshift. Clean internals of clutch actuator and grease but do not over grease as that will contaminate brush gear. Apply silicon grease to areas where rubber seals against housing and rod. Grease socket of release fork where rod engages. Preload clutch actuator. Add grease injection points on wheel bearings for eternal bearing life. Note a grease gun in the wrong hands can cause bearing damage. Another mod if you prefer a more comfortable ride: Fit standard Smart Roadster springs on rear axle so you won't ride on the bump stops. A final advice: invest in a Delphi DS150E diagnostics kit. About £30 on Aliexpress. Can read all systems on your Smart plus most other cars, busses and lorries. Regrettably cannot adjust clutch but can do transmission and keys. Tolsen, I appreciate all of the helpful tips. In regards to the EGR modification, I don't think that you have the same issue, but since this car originally came from Canada it has coolant lines running to the EGR. 1 input and 1 return line. I could route the input directly to the return, thus bypassing the EGR all together (necessary since I will be removing it), or I could remove the coolant lines entirely but I haven't see the source of them so I don't know what I would be dealing with if I went that route. The water pump being a car length away from the radiator leaves all kinds of possibilities. Of course I would block the EGR supply at the manifold, it would almost defeat the purpose to leave the pipe from the manifold blocked off but still in place. Do you have any hints on where I should try to find the free wheeling alternator pulley here in the states? Is there a part number available so I can try and pick one up at a MB dealership? I believe EGR cooler is fed coolant from heater matrix outlet on thermostat. In that case easy to remove. Smart's own pulley used in the 451 cdi is rather expensive. The INA can be sourced for much less. Learnt my lesson first hand. Filled a tank of 100% biodiesel professionally produced by an Aberdeen back street biodiesel supplier. Engine started missing beats and exhaust smelt like a chipper. vernacular, it smells different though that's for sure. 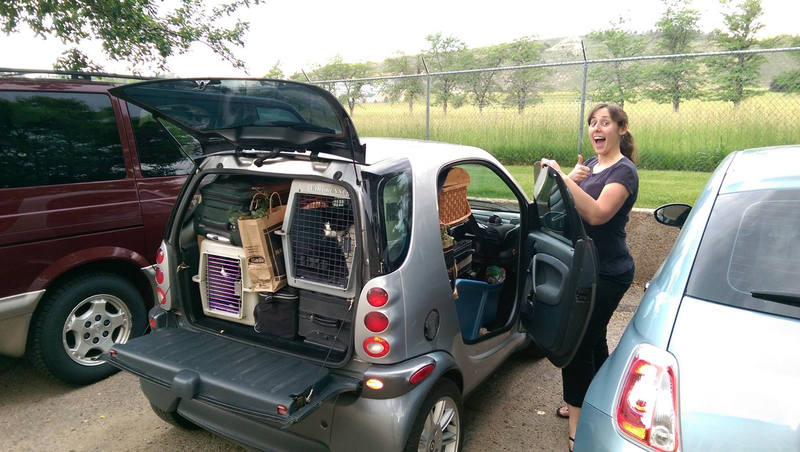 My Smart is a car not an animal so I can't see why changing to a different fuel must be gradually phased in. Biodiesel is no longer available here after the sole back street supplier went bust. The lower price of biofuel never outweighed the risks and 21% lower energy density of biodiesel compared to normal diesel. Okay, so I just "finished" the fuel pump and headlight external relay wiring and everything was a go. It all worked. The car started right up, stumbled a little bit which is probably due to the air I introduced to the lines when I cracked the fuel lines open. It sort itself out and everything is great except now it will continue running until the brake pedal is released. I can turn off the ignition and remove the key but it will keep running until I take my foot off of the brake. I REALLY hope this is something that can be sorted without opening the SAM again, it is sealed up pretty tight. Everything else is working great though, which is a huge improvement.